Oregon State Credit Union’s 2018 philanthropic effort will exceed $217,000 in donations and sponsorships as well as more than 7,900 hours of volunteerism conducted by the current staff of 248. Photo above: The staff of Oregon State Credit Union assemble with Doernbecher and Peace Health Children’s Hospital Foundation representatives and Holly Miller of the Northwest Credit Union Association to present a $32,000 check as the credit union’s contribution to their local Children’s Miracle Network locations. It was one of many highlights of Oregon State Credit Union’s 2018 philanthropic efforts that distributed more than $217,000 to approximately 180 schools and nonprofit organizations in its field of membership. The team performed 87 percent of the hours on their own time including 27 employees who dedicated a late October Saturday to assist in the set-up of the traditional Pastega Lights display enjoyed by tens of thousands during the Holidays at the Benton County Fairgrounds. The credit union also conducted its three annual community shred days in Albany, Corvallis and Keizer taking in 25 tons of sensitive documents from 1,727 motorists who also donated dollars and food to the local area food shares. Photo above: 27 Oregon State Credit Union employees dedicated an October Saturday to help set-up the traditional Pastega Lights display enjoyed by tens of thousands during the Holidays at the Benton County Fairgrounds. The credit union supports scholarships established at the universities and community colleges in our counties with branch presence including OSU, Western Oregon University, Linn-Benton, Oregon Coast and Chemeketa community colleges. In addition, the credit union has a long established Tomorrow’s Leaders Today scholarship program that is now in its 20th year and has awarded 191 scholarships to high school seniors on their way to a college or university in the state of Oregon. That program currently selects ten recipients for scholarships of $2,000 each. Education grants awarded to schools through teacher online requests totaled $15,000 benefitting 6,906 students in our field of membership. 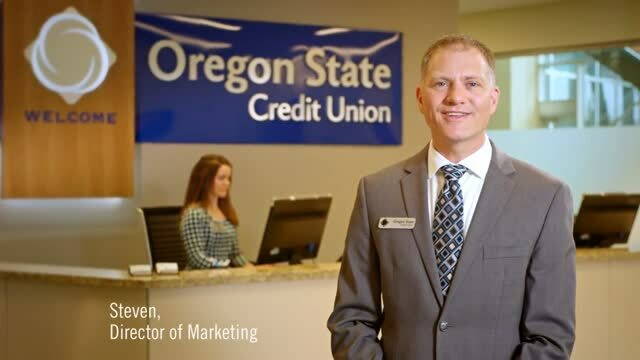 Oregon State Credit Union is a member-owned, not-for-profit financial cooperative serving 24 western and central Oregon counties. Find more information here about the Oregon State Credit Union difference.